Detailed image of the CTD rosette on NB Palmer. The CTD is used to continuously record salinity (by measuring conductivity), temperature, and depth (by measuring pressure) as the instrument is lowered from the ship. 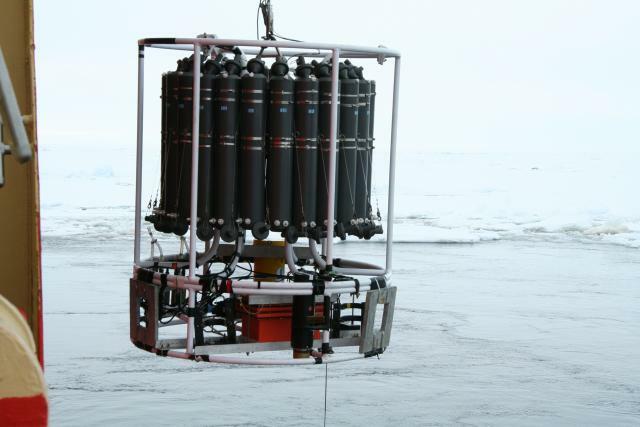 Niskins bottles are also attached to the rosette so scientists can collect water samples.